This Project is based in Germany. 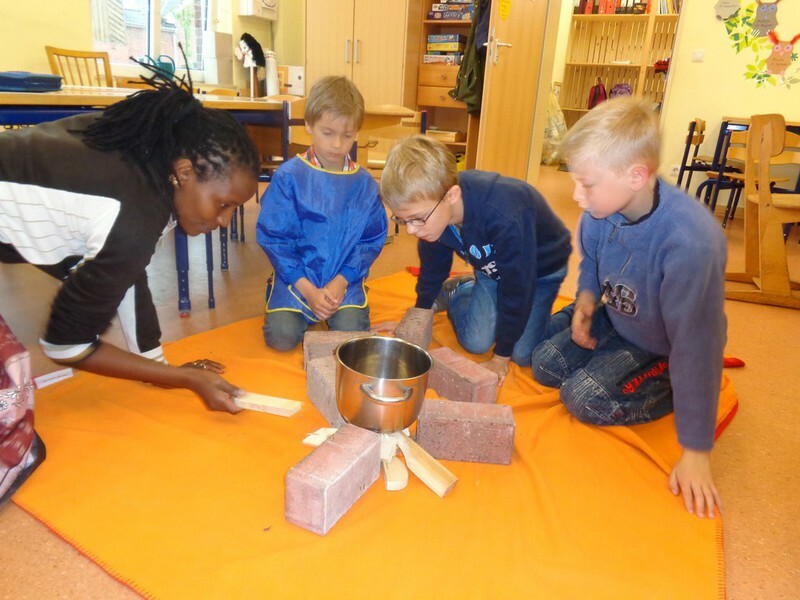 The Elimu Project is an intiative from Kenya-Dorf- Volunteers ( KEDOVO e.V) in Partnership with several schools especially in Schleswig Holstein Germany. The project aims to enhance mutual understanding and bring together the schools in Schleswig Holstein , with the schools in Nyeri County Kenya and forge long lasting Partnerships for development cooperation. By using a holistic approach, that does not only seek the economic support for schools in Kenya , but also combines education about development issues in German schools , the students will gain knowledge of Kenyan realities and challenges for education, as well as receive regular updates from the region of partnerships. Partnerships with schools in other countries can expose teachers and students to very different learning and teaching contexts. The Project involves giving presentations in German schools where we show case the African continent through the lens of our own eyes as Immigrants born and brend in Kenya. The project then proceeds to focus on Kenya where we discuss and present first hand information about Kenya, the Country and the People. We do presentations on the Education system in Kenya, the challenges etc before settling on Agricultural Farming with a special topic focus on the Cultivation ,Processing and Roasting of coffee. The schools from both sides will learn global contexts based on jointly developed economic enterprises and in this instance Coffee. We also facilitate the schools exchange programs, be it visual or physical. The students can exchange photos, cards, and share about their lives etc or visit each other's respective countries (secondary schools). The German schools can visit the Kenyan schools with the Theme about the Cultivation of Coffee; where they learn how coffee is grown and processed in Kenya, and the Kenyan schools can visit their counterparts in Germany and learn how coffee is roasted and distributed/ sold. The project will also at times accomodate several cooking lessons where we will cook together with the students various Kenyan / African dishes and later on compile a recipe book. Students involved in the project will then sell the recipe books and all the proceeds from the sale of the recipe books, will be donated to Kedovo e.V to fund the education requirements for the children of the coffee producers in Nyeri Kenya. In this project, the schools in Germany will not only partner with one individual school in Kenya, but will instead support the work of Kedovo e.V in Education for Sustainable development thus benefiting 5 schools from our coffee producing communities in Nyeri. Kedovo e.V will provide spokespeople for school events in Germany and support networking and information exchange among German schools who participate in the initiative. The Project is planned for 1 year period, with room for expansion or restrategizing.